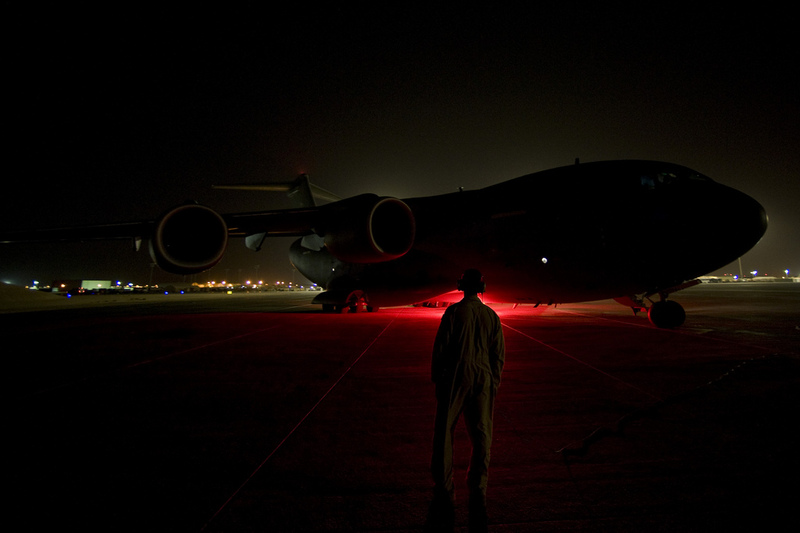 A C-17 Globemaster II performs pre-flight checks and engine start up in front of a loadmaster of the 816th Expeditionary Airlift Squadron in a picture taken at “an undisclosed location in Southwest Asia” on May 4, 2012. 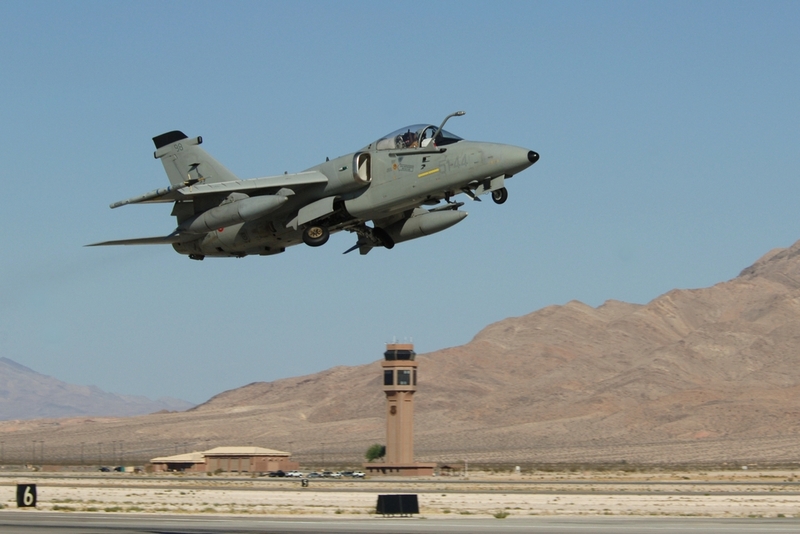 The undisclosed location is most probably Bagram airfield, in Afghanistan, where Obama’s Air Force One landed (in the darkness as well) on his “surprise” visit to Afghanistan lately. Lighting in the darkness is provided by two red beacon lights: one is underneath the fuselage (partially covered by the loadmaster) whereas the other one is located on the top of the aircraft tail. These lights rotate to produce a flashing effect that is quite fast thus difficult to catch on photo. These lights are a safety warning to ground personnel that the engines are running: the rotary beacons are turned on before engine start up and remain switched on until the last engine is shut down.